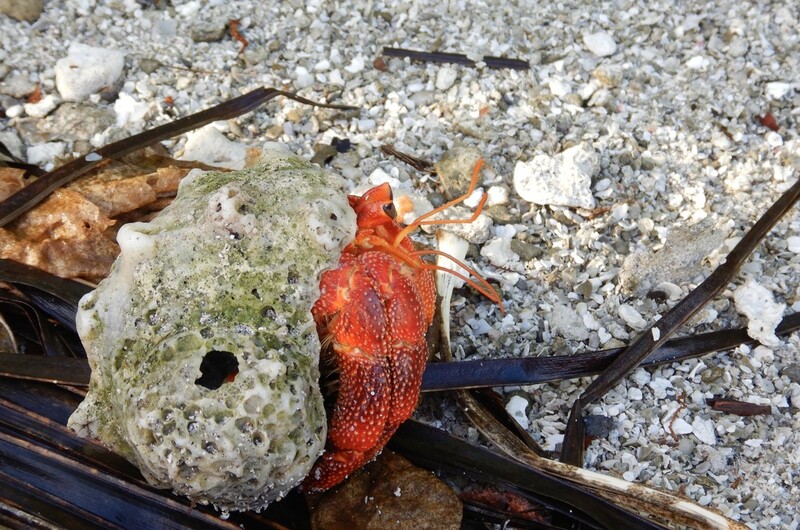 There are so many hermit crabs on The Cocos Islands. It looked like this guys home was reaching its use by date. Great shot, that crab mustn’t have found a shell as comfy as this one yet! Love it, love it. That splash of colour is great. Definitely needs a new home but what vibrant colour.